Smartphones allow us to be constantly connected and, therefore, constantly connected to social networks like Facebook . Being able to follow their own virtual life will be a very slow, eminently if you are not connected via Wi-Fi. Our App of the Day today, Minimal Facebook , eliminates any frills from the classic application and focuses only on the functions. As the title suggests, everything becomes minimal, but that does not mean that your social experience will be limited. Does not seem to miss anything. You can read the classic news posted by your friends, follow the fan page, cap on new hash tag Facebook, receive notifications and even chat with connected users. 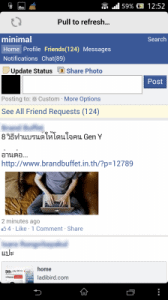 The first and only fully-featured, lightweight, native Facebook client for Android. As the name suggests, Minimal is minimal in design but not in function. Access your Facebook account wherever you go and stay connected to the social network in places with little or weak signal. Minimal can keep you connected to your friends without additional data charges. View status updates, photos, birthday notifications, messages and more from the palm of your hand – Minimal helps you to organize your social life – one tap at a time. The application is a fully-featured Facebook client designed for the 21st century and it’s also designed to save you money – instead of downloading large graphical content, the application lets you preview a small version of the photo without downloading it in native resolution. Minimal for Facebook is beautiful and simple, by getting rid of clutter, Minimal also brings you closer to content you want to see – without interference. 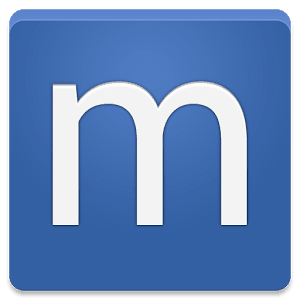 Minimal is the only Facebook client you will need for your Android device – it’s easy to use, lightweight and clean. 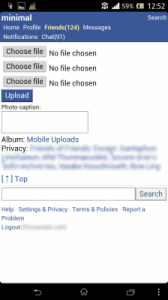 ☆ Clean design to save money by reducing mobile data costs when surfing Facebook. ☆ Stay up to date with posts, photos and more. ☆ Post status updates and share photos with a tap. ☆ Manual refresh and pure messaging functionality. ☆ Allow viewing YouTube videos in YouTube app. We must admit that the graphical user interface of this application is really bare-bones, but this “lack” is its strength. In return, the functions seem to all present, as we have said is available even chat . From the top menu you can access this section and scroll through the list of all the people at that time are available. When you open a conversation you can not only write, but also send pictures. Too bad for the banner ad on the bottom of the application that often might annoy your navigation. Minimal Facebook can be downloaded free from Play Store. If you want to stay connected and use the social network via smartphone without excessive delays, this title would win you over. Who Owns Our Social Media?